UEW manufactures Diamond Core Bit or step type surface set core bit of various SPC such as: 10/15, 15/25, 25/40, 40/60, 60/80 & 80/110 SPC. In manufacturing Wireline Diamond Surface Set Core Bits UEW use WA1 / AAA grade of fully processed round natural diamonds. WE CAN PROVIDE ALL KIND OF DIAMOND BUTTON. ALSO ALL KIND OF PCD / PDC / PCBN CBN TOOLS. ALL OUR PRODUCTS ARE EUROPE AND USA ORIGIN. We are offering our esteemed clientele an exceptional quality range of Diamond Drill Bits that are used for drilling in stone for samples, road, cores and testing labs. These are designed from qualitative range of raw materials and advanced technology. 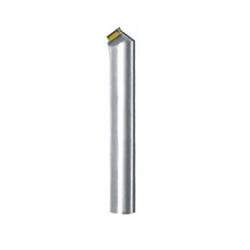 These Diamond Drill Bits are offered in various designs, sizes and shapes. Fostered with rich industry experience and a talented team of professionals, we are offering Diamond Bits. Moreover, these diamond bits are checked by our quality managers on various parameters. Being a customer oriented organization, we are deeply engaged in offering a wide array of Diamond Bits. As per the necessities of the clientele, we are involved in providing Diamond Granite Marble Drill Bit. The offered products are checked by professionals on different parameters to ensure the durability. 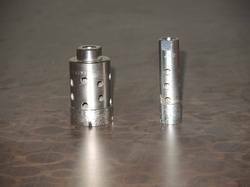 Diamond Core Drill Bits For Stones Are Used To Drilling Holes For Granite, Marble, Limestone, And Slate Etc. We Manufacture Various Sizes From 6mm to 250mm.